Category: Books, Complementary Therapies, Self Help & Personal Development Tags: complementary therapies, Conciousness, Enlightenment, healing, health, music, singing. How to Sing Yourself Into a Higher State of Consciousness. 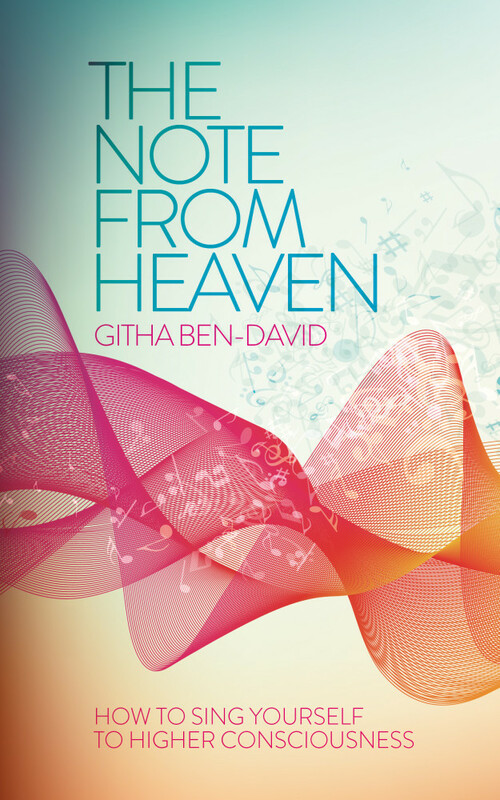 Githa Ben-David presents a method for liberating the natural voice using regressive cell singing – one of the most direct ways to get in contact with the subconscious mind. This liberation has a healing effect on body and soul and can be experienced by every speaking person. With inspiration from India, Githa has put together a program for self-study, along with a practice instruction program that can be downloaded. The Note from Heaven can release blocked energy imprisoned in the Singer?s body as trauma. The process starts a cell-dance, which reorganizes the body back to it’s original balanced matrix. Transform your life through the power of sound. In the beginning there was sound. With sound everything was created. You are sound.